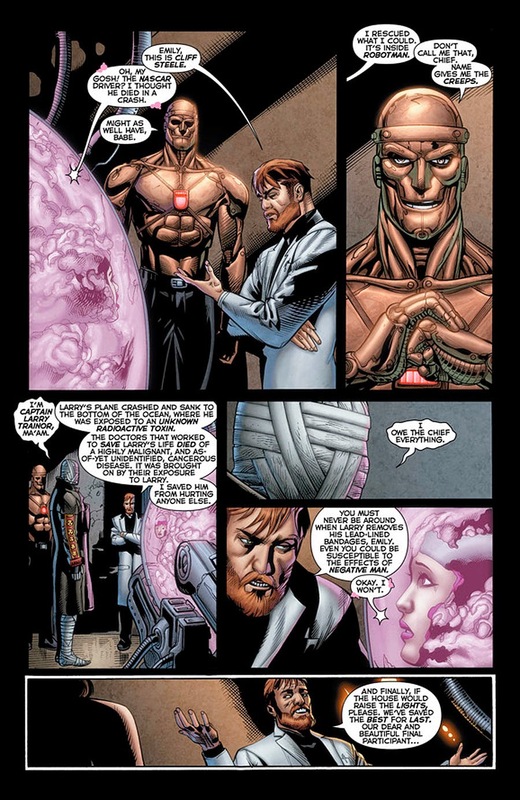 So Justice League #32 puts more than a little effort into giving us a story of the New 52 Doom Patrol. The preview offers hope or frustration. It's up to you to decide which applies to you. Ugh. Change for change sake. I'll post some thoughts on the issue this Friday, for now, enjoy this page. Words by Geoff Johns, pencils from Doug Mahnke, inks from Keith Champagne, colors from Andrew Dalhouse with Nick J. Napolitano on letters. You can catch more of the preview over at my other internets home on CBR. 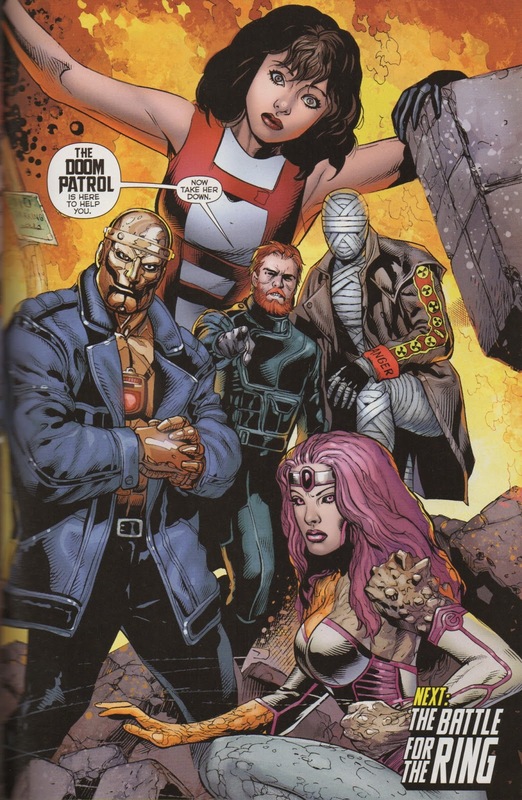 Doom Patrol in the New 52. Finally!! Alright, y'all, here it is! THE splash page for the end of Justice League #31. Sound off now and we'll discuss later. Enjoy!